Along with ham, Easter baskets, and perfectly pressed pastel outfits is the Easter egg. 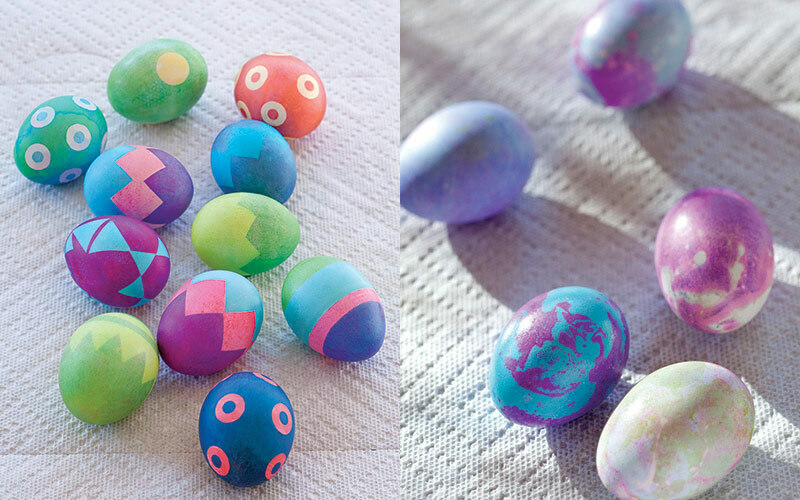 Dyeing eggs and Easter egg hunts are traditional ways that many celebrate Easter today. All of us here appreciate a little history of time-honored traditions, so when I started doing more research to share with you, I was delighted! Easter eggs and Easter egg hunts are not merely a commercialized way of celebrating, but are actually rooted in the practices of early Christians in Easter customs. So, although these traditions are great fun and often make for the sweetest of memories when there are little ones in your life, there is a deeper meaning to them as well. The Easter egg is symbolic of the resurrection of Jesus Christ—the pivotal event for which we celebrate Easter. The hard shell represents the sealed tomb, and the cracking of the egg represents Jesus’ resurrection from the dead. In early Orthodox churches, Easter eggs were handed out during the church service. According to an article from Chase Oaks Church, early Christians abstained from eating eggs and meat during Lent, a period of 40 days where Christians fast, repent, and pray to prepare for Easter. Therefore, Easter was the first day Christians could resume eating eggs. From these practices, Christians then developed the traditions we still partake in today! At first, eggs were dyed red by the early Christians of Mesopotamia to represent the blood that Jesus shed for us on the cross. This tradition was later picked up by Catholic and Protestant churches in Europe. Early missionaries also used dyed eggs to tell the Easter story to those who had never heard it. They used yellow to represent the resurrection, blue to represent love, and red to represent the blood of Christ. Easter egg hunts were invented to help children learn about Easter. Those same missionaries would paint biblical scenes on the eggs and hide them for children to find. Now, many hide goodies inside plastic eggs for children. When children open their egg and find a surprise inside, it is symbolic of the surprise and delight of those who discovered the empty tomb! This is a beautiful chance to teach children about the pure joy that comes upon hearing the Good News that Christ defeated death with resurrection, all because he loves us! 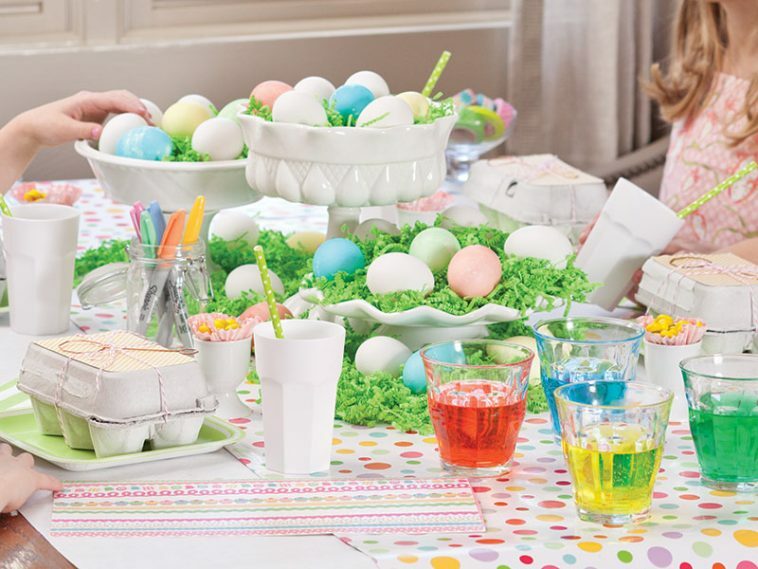 What are some Easter traditions that you and your family have? First, let me commend you for Your spiritual interests. we live in an age where spiritual interest is waning. However, there is one important thing we must consider. At John 4:23Jesus said we must worship with truth. Therefore, I am sending this info for your consideration. I know your good heart condition to accept the unadulterated word of God as the truth. What Does the Bible Say About Easter? Audio download options What Does the Bible Say About Easter? Hares, rabbits: These are symbols of fertility “handed down from the ancient ceremonial and symbolism of European and Middle Eastern pagan spring festivals.”​—Encyclopædia Britannica. Each year millions meet together to observe the anniversary of the death of Jesus. You are invited to learn how this important event affects you. Great informative post! I, too, thought the eggs were related to secular origins. Phyllis, I love reading about the egg connection to the Resurrection. Like many others, I had no idea. have ever seen. Everyone who sees them is amazed. I will cherish this basket for many years to come. Blessings to you and all your family ! 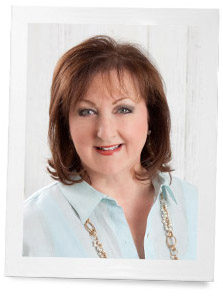 Thank you for sharing this blog! I did not know any of this. We have hidden numbered Scripture references in eggs and then found them, letting the story unfold as we shared it with the children. Thank you for sharing boldly. Loved reading this post and the Christian tie in to the Easter egg. I had no idea, assumed it was just secular fun. I can’t wait to share this with my kids. Thank you sharing this post Phyllis. I truly enjoy coloring eggs for Easter, even though I do it alone now without any little ones around. Easter Sunday service is my favorite service of the year. I always look forward to singing “Christ the Lord is Risen Today”. Growing up in a Ukrainian church, we were greeted with Christ is Risen and we would answer, “He’s Risen Indeed!” I am so grateful for Christ’s gift of salvation. May God Bless you and all Ribbon readers. Love this! I’ve always wondered also how that tied in with Resurrection Day! As always, you bless us with these articles. I look forward to them, as well as all of my subscriptions that come in the mail! Have a blessed Easter! Wow! Thank you for that great information. As Christians we want to stay away from pagan practices, so this is a wonderful revelation of Truth as the early Christian Church celebrated. There is something extra special about a Sonrise Celebration!! A Blessed Easter to of my Ribbon Friends!! Thank you for sharing about the Easter Egg traditions and how it represents Christ. It’s the best story ever told. I hope many will understand it more fully this Easter. I didn’t know many of the details you discussed, and it’s so nice to have that info! I had some children ask me last week about this and I’ll need to go back and tell them what you’ve said. I also think your dying “station” is the prettiest I’ve ever seen. No spills, no old newspapers, no army green eggs from little boys wanting to use every single color! Beautiful. Thank you, Phyllis, for sharing this post about Easter eggs & the traditions associated with them. Thank you, Katrina, for sharing your traditions. It is so lovely to hear about these things. May you all have a blessed Easter. Phyllis, thank you for sharing this historic information with us. I have never heard of this beautiful symbolism of the Easter egg tradition. You have added to my already-present joy in celebrating the resurrection and the the gift of salvation through our LORD JESUS CHRIST. Happy Easter!! We Orthdox Christians still eat a vegan diet for the Lenten period and we still receive an egg at the end of Liturgy in Pascha (Easter). The Greek churches still have red eggs but most others have red or any color. We make our way to the church hall, where refreshments are served, and that first egg is the most delicious treat you could ever want! And we have cracking competitions…we tap our eggs with worthy opponents to see who can go the longest without cracking his/ her own egg. It’s fun! With or without salt, we all love that first egg! Most importantly, we greet each other with, “Christ is Risen!” And the response is, ” Truly He is Risen!”. We say this for 40 days until Ascension. Thank you for sharing Katarina. What a wonderful tradition. What a beautiful post and so informative. Have a Blessed Holy Week. I enjoyed this beautiful post. We color eggs every Easter. Blessings to you and your family this Easter. Thank You for this lovely post. Wishing you and yours a Blessed Holy Week and a Happy Easter.